If you investigate biological systems and might use mass spectrometry in your research but need to know more about it, this book is for you. 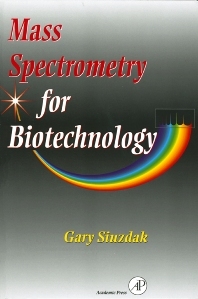 It introduces the fundamental concepts of mass spectrometry and how mass spectrometers work. It also presents recent advancements particularly interesting to bio-researchers in an easy-to-understand manner that does not require extensive background in chemistry, math, or physics. Researchers in molecular biology and biotechnology using mass spectrometry for nucleotide and protein sequencing. Historical Perspective. Ion Sources and Sample Introduction. Mass Analyzers and Ion Detectors. Basics of Biomolecule Mass Spectrometry. Peptide and Protein Analysis. Carbohydrates, Oligonucleotides, and Small Molecules. Specific Applications. Terms and Definitions. Appendix. Chapter References. Subject Index.